We now have a new website to better serve our customers. You can now request an estimate, track a shipment, or just browse all of our packing and shipping services. In addition to packing and shipping we also offer crating and freight shipping services. While you are here check out our convenient business services like; mailbox rental, shredding, copy and fax services, notary, and much more. Contact us for more information. 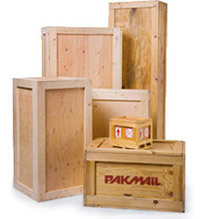 Pak Mail Gahanna is a full service packing and shipping store as well as a custom crating and freight shipping company. We are located in Gahanna and proudly serve New Albany, Westerville, Whitehall, Canal Winchester, Obetz, Bexley, Worthington, Upper Arlington, Hilliard, Grandview, Dublin, Reynoldsburg, and the entire Columbus area. Request a Free Online Estimate or call us at 614-337-0067.